Standardization Department, Ethiopia Ministry of Tourism. Sylvia Mracky (right) and Marlene Davis (right) of ATA Socal Chapter., Los Angeles, CA. 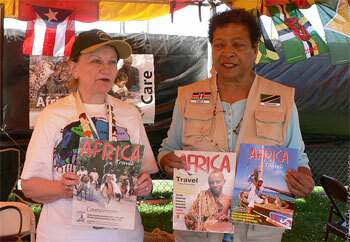 Distributing copies of Africa Travel Magazine to travel agents. Tanzania President Honored in USA. 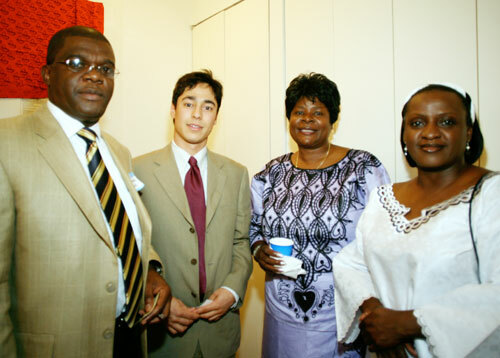 (left to right): Karen Hoffman, The Bradford Group and Africa Travel magazine, Jane Thompson, The Bradford Group, Geoffrey Williams, Africa House, New York University, Hon. Prof. Jumanne A. MAGHEMBE, Minister for Natural Resources and Tourism, United Republic of Tanzania, Rubi E. Valdez, Caterer, H.E. 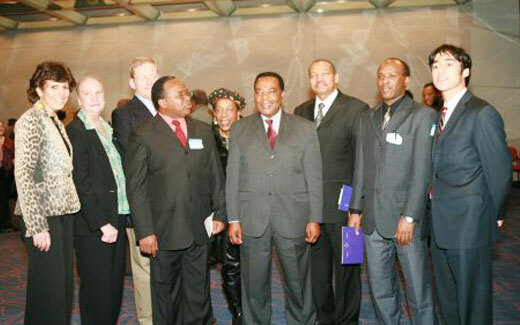 Dr. Augustine Mahiga, Permanent Representative of the United Republic of Tanzania to the United Nations, Peter Mwenguo, Tanzania Tourist Board, Mr. Mohamed, NYU Student, Ed Bergman, Executive Director, ATA. 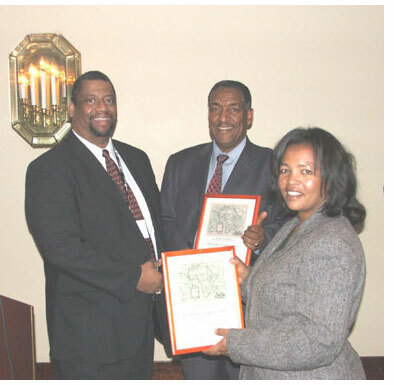 Zambia Tourism Road Show and Reception in New York hosted by ATA and NYATA. New York was one of several cities in the USA and Canada visited by the Zambia Tourism delegation... More photos and captions to come. 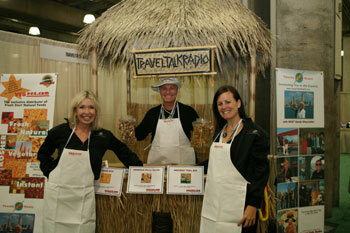 Tanzania Exhibit at Los Angeles Travel Show. 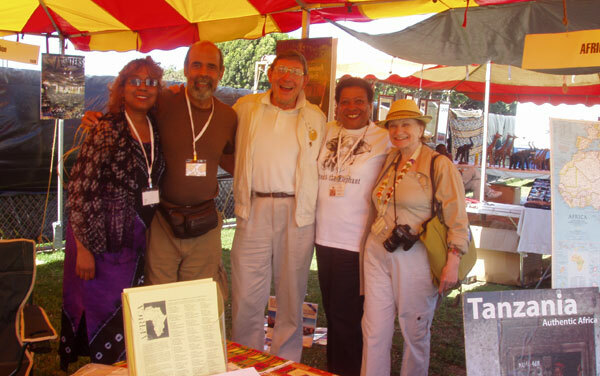 Left to right: Gloria and Solomon Herbert, Black Meetings and Tourism, ATA SoCal Chapter members Ron Mracky, Marlene Davis and Sylvia Mracky. Above photos- Sylvia and Marlene at the LA exhibit.